FAQ: Who is Spotware and What’s the Relation to cTrader? cTrader is the product name of the trading platform, whereas Spotware is the name of the company who made and develops it. Similar to Sony and PlayStation, where PlayStation is the product name and Sony is the company who made it. This is why you will find information about cTrader on the Spotware website and why news and announcements about cTrader come from a company called Spotware. Spotware is a software development company. They provide the cTrader platform to brokers where they can use the platform to provide online trading services. When you trade on cTrader you are actually trading with a broker and not Spotware. Spotware’s customer is the broker and this relationship allows the broker to offer cTrader to you. Because the companies website is aimed at providing information to brokers, not traders, it can be a bit confusing. There is a cTrader website dedicated to the end user. Spotware is an independent private company that provides services to various brokers. As they are a business to business company and traders like you are not their direct client. 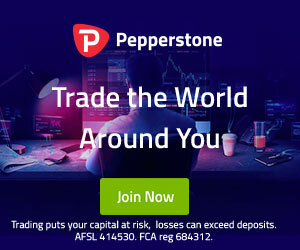 When you trade on cTrader, you are a direct client of your broker, like Pepperstone, IC Markets or Tradeview Markets. When you need help or support, you should always contact your broker first because they are ultimately responsible for providing the service to you. Check out our cTrader Broker list to find a suitable broker before trading on cTrader.